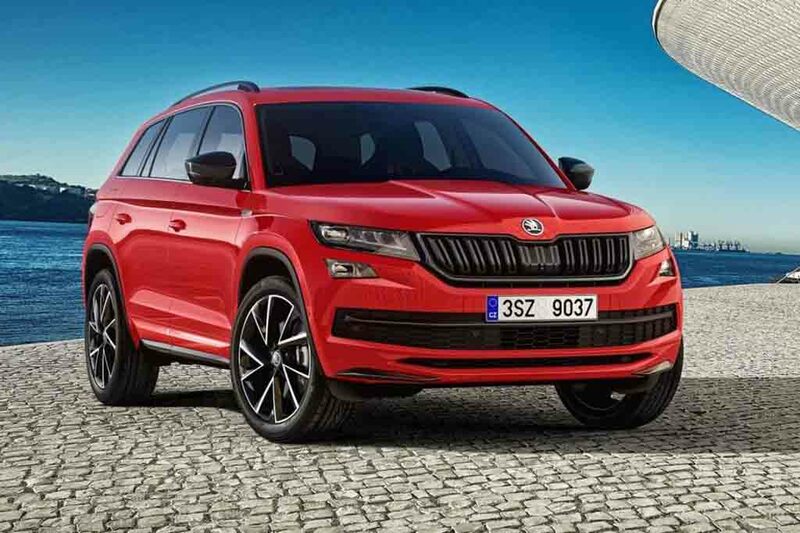 Skoda has garnered positive response with its flagship SUV Kodiaq that comes with sharp and muscular design along with a premium appearance. Now the company is readying a new variant christened as the Sportline. It will make public debut at the upcoming 2017 Geneva Motor Show in March. 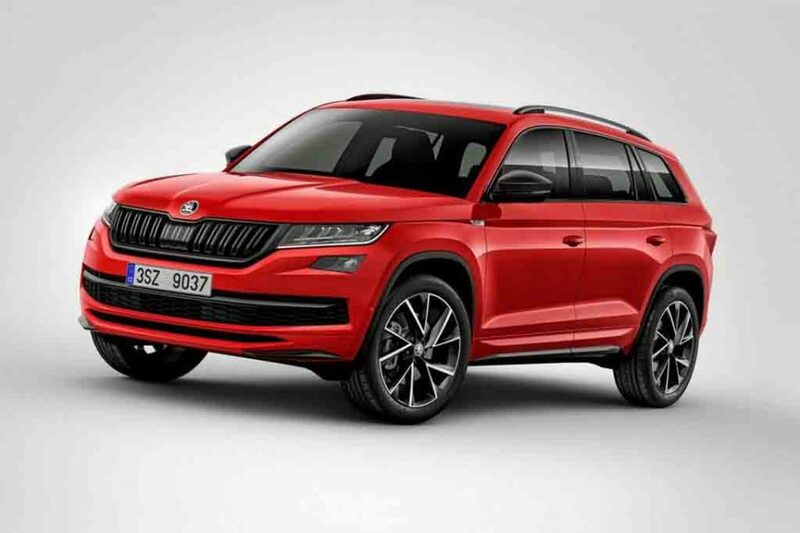 The Skoda Kodiaq Sportline will be showcased there alongside the rugged Scout version of the SUV. 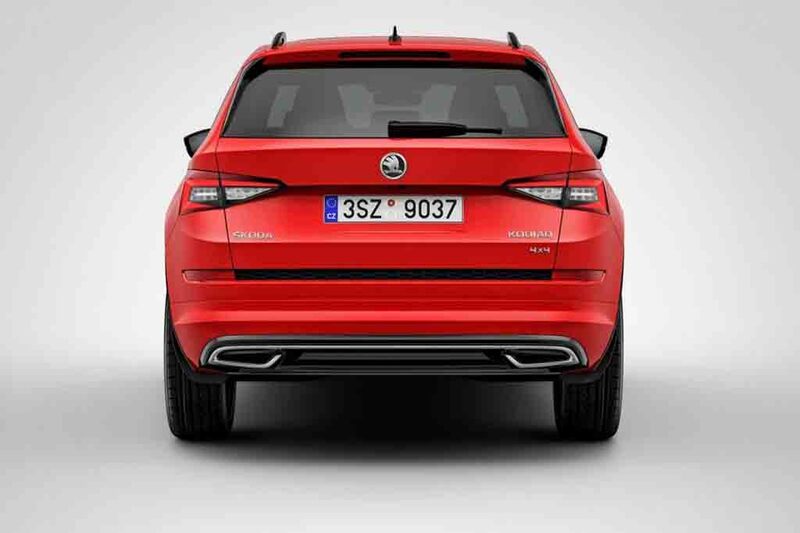 The Kodiaq Sportline appears as a sportier avatar of the flagship SUV. It bears black elements on several places like the front grille, roof rails, wing mirrors, etc. The vertically slated front grille looks even more aggressive thanks to the blackened appearance. The sharp headlamps with integrated LED daytime running lights enhance the appeal of the SUV further. 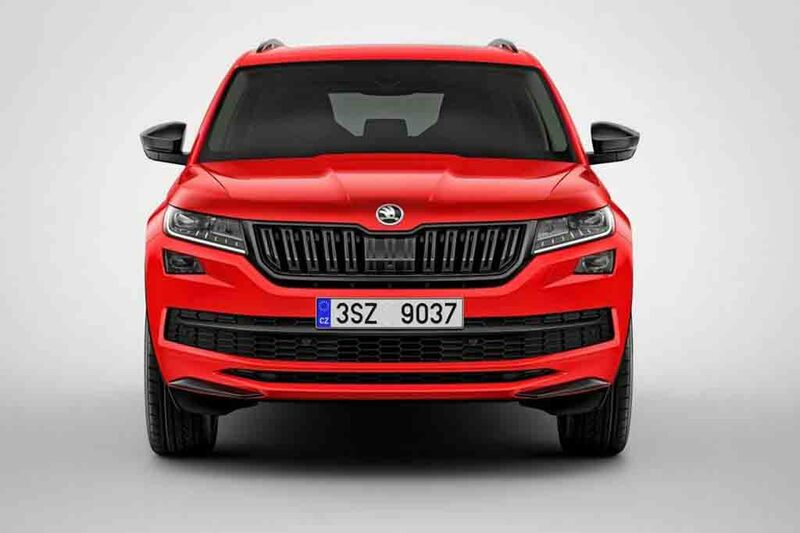 The Kodiaq has been designed inspired by the Bohemian glass crystal. The same sharp and edgy design is also visible in the Kodiaq Sportline. It runs on sporty 19-inch alloy wheels and there will be an option for 20-inch wheels as well. Moving toward rear profile, it features silver garnishing right below the bumper. 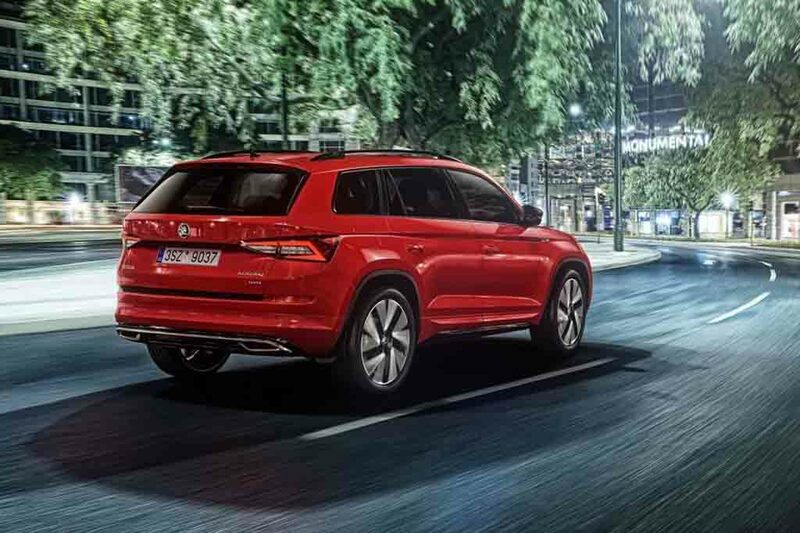 The Kodiaq Sportline is based on the SE trim and bears all the features that are available in the regular Kodiaq SE. Additionally, the Kodiaq Sportline comes with Alcantara sport seats, leather wrapping on steering wheel and gear lever. The aluminum pedals, LED ambient lighting, puddle lamp add zing to the cabin. 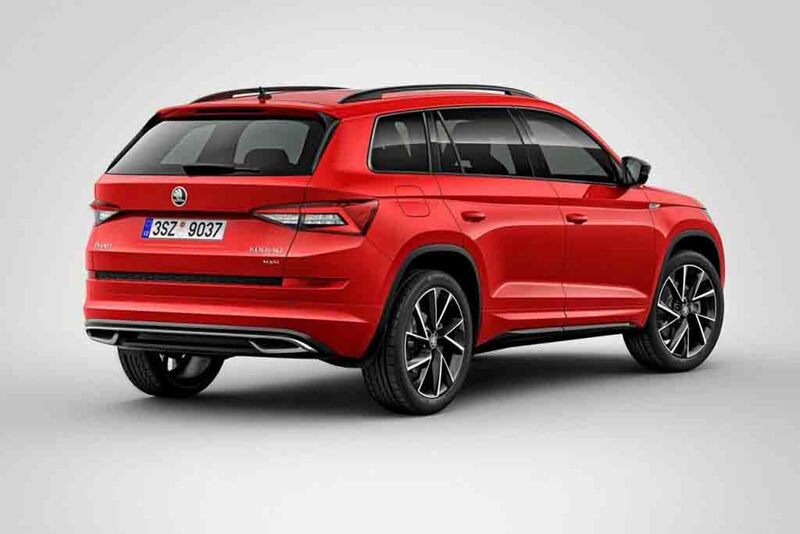 On the powertrain front, the Skoda Kodiaq Sportline will come with two petrol and a diesel engine options. The 1.4-litre and 2.0-litre petrol engines are capable to churn out 148 bhp and 177.5 bhp of peak power respectively. The 2.0-litre diesel engine is tuned to deliver two different state of power that are 148 bhp and 187.4 bhp respectively.